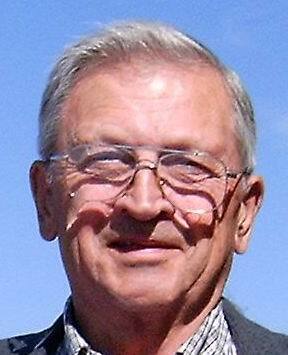 Following several decades of close association with state and federal wildlife mangers as a helicopter and fixed-wing pilot, a qualified volunteer on assorted wildlife research projects and a member of several fish and game advisory committees, George Dovel offers a unique perspective on what has happened to wildlife resource management. With record low big game and upland bird populations existing throughout the U.S. in 1969-1973 he edited and published The Outdoorsman which is credited with helping to restore scientific game management. The new crisis in game management throughout the West resulted in resurrecting The Outdoorsman in March 2004 to provide factual information for outdoorsmen and their elected officials. No. 47 Jan-March 2012 do you have the courage to admit the truth? No. 13 July-Aug 2005 Should IDFG offer equal harvest opportunity to all or sell best harvest chances for more money? No. 11 Apri-May 2005 Governor signs 161% license fee increase for Seniors! Below is an example of George Dovel's publication. 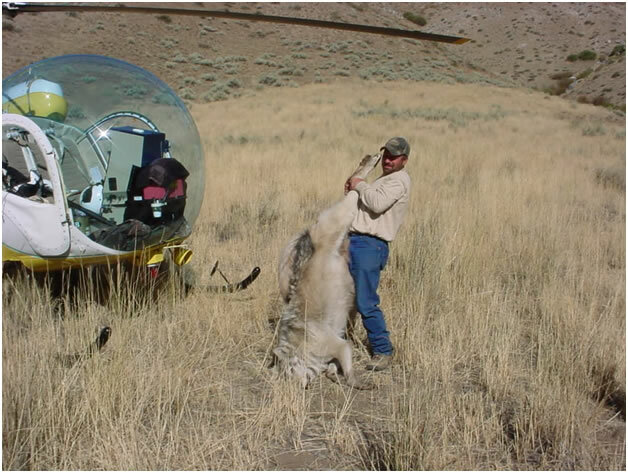 One of four wolves shot by USDA Wildlife Services personnel north of Mountain Home, Idaho in September 2006 after the wolves continued to kill cattle on a rancher’s private land in July and August. This wolf, the alpha male of the newly formed “Danskin Pack”, was not weighed but its weight was estimated at 120-130 pounds. During spring of 2006 an Idaho rancher reported wolf activity on private land several miles north of Mountain Home, Idaho. The U.S. Fish and Wildlife Service (FWS) confirmed it was a new pack containing two adult wolves and three pups. During July and August 2006, USDA Wildlife Services (WS) examined four of the rancher’s calves that were killed and confirmed that at least three and probably the fourth were killed by those wolves on the rancher’s private land. In September 2006 the two adult wolves and two of the pups were killed by a Wildlife Services helicopter team and the other pup was not located again. Studies in 1985 and 2003 reported that only one in 6.7-9 wolf-killed calves are discovered in time for FWS to determine the cause of death and enable compensation to be paid. How Many Wolves are Enough? By 2006 many people in the West were aware that minimum estimated fall wolf numbers in Idaho, Montana and Wyoming already exceeded the criteria for delisting wolves by several hundred percent. But few seem aware that the FWS agenda to allow this to happen was exposed by wildlife ecologist Dr. Charles Kay way back in 1993 – before any Canadian wolves were transplanted into the three Northern Rocky Mountain states. In an article entitled, “Wolves in the West – What the government does not want you to know about wolf recovery” in the August 1993 issue of Petersen’s Hunting, Dr. Kay asked the question, “If wolves are brought back how many are enough?” He pointed out that the federal government’s recovery plan announced that when 10 breeding pairs (approximately 100 wolves) existed in each of the three recovery areas for three consecutive years, wolves would be declared recovered and removed from the Endangered Species list. Then Dr. Kay also pointed out that to prevent harmful inbreeding and protect against random environmental changes, most scientists believed that a minimum population of 1,500 wolves must be achieved. When he attempted to find out why such a low number was being sought for recovery FWS could not produce evidence of any scientific research to justify such a low recovery number. In “Wolves in the West,” Dr. Kay citied abundant scientific studies and facts to disprove the government’s claim that expanded wolf numbers would have limited impact on big game populations and harvests. He argued that with 50,000 wolves already occupying North America, wolves were not a biologically endangered species and their listing served personal agendas that had nothing to do with conservation. Six years after the 10 breeding pairs per area was established as the criterion for delisting, Wolf Project Leader Ed Bangs included Appendix 9 in the draft EIS stating that a questionnaire had been mailed to 43 wolf biologists in Nov.-Dec. 1992 asking whether they agreed with the minimum criteria of 10 pairs established in 1987. The names of the 25 biologists who reportedly responded and the specific answers they provided were not included. Meanwhile Bangs initiated a letter-writing campaign to discredit Dr. Kay among his peers and elsewhere. Instead Kay’s scientific associates defended him and rebuked Bangs for his attempt to destroy Dr. Kay’s scientific reputation while also attempting to suppress legitimate scientific opinion. In 1996 Dr. Kay wrote “Wolf Recovery, Political Ecology, And Endangered Species” in which he described a scenario where both environmentalists and FWS knew that people would refuse to accept 1500-2000 wolves yet also knew courts would insist on having that many or even more wolves to constitute a minimum viable population (MVP). Kay presented strong evidence, which has never been refuted, that the 10 breeding pairs per area or 300 wolves in the three states was simply an elaborate deception designed to establish core wolf breeding areas to populate the entire West with wolves. Following the 2007 announcement by FWS of its intention to de-list the wolves in 2008, the agency issued a minimumestimated wolf population in the three states of ~1500. And on May 8, 2007, the nonprofit environmental law clinic, Earthjustice, sent FWS a documented 35-page objection to delisting wolves in the three states. A major objection to de-listing was that wolves in all three states do not meet the MVP of 2,500-5000 that computer models indicate is necessary to insure survival of any species for the next 100 years. The Objection, filed on behalf of the Sierra Club, Natural Resources Defense Council, Jackson Hole Conservation Alliance and the Humane Society of the U.S., points out that the 1979 Minnesota population of 1,235 wolves in 138 packs did not qualify for delisting and asks how only 300 wolves in 30 packs in three states could possibly meet delisting criteria, which should be comparable to Minnesota. In 1996 Dr. Kay cited the same example as well as a federal court ruling that approximately 4,500 spotted owls (2,180 breeding pairs) were needed to meet ESA requirements. Everything that he predicted has come to pass and the wildlife managers in at least two of the three states continue to promote higher wolf populations. When big game and upland bird populations and harvests reached record lows in the late 1960s and early 70s, I edited and published The Outdoorsman, with subscribers in every state, to help restore science-based wildlife management. In March 2004 friends convinced me to resurrect the publication to combat the new crisis in wildlife management and, as happened before, as more and more citizens and their elected officials read facts, I am beginning to see some results. But unlike the former Outdoorsman which was operated as a business venture, this is a volunteer effort with no advertising -supported entirely by donations. I accept donations in any amount, my cost for printing and mailing alone is about $20 per person per year. Monthly issues are 12 pages and issues covering 2-3 months are 16-20 pages. Donors with high-speed internet can choose to receive specially prepared issues via email, but all others, including dial-up subscribers receive each issue by U.S. Mail.